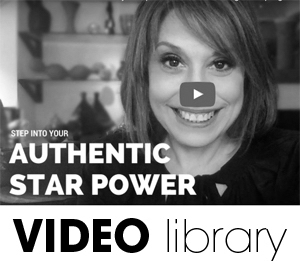 Style & Fashion Expert Sharon Haver is every woman’s fashion stylist and beauty guru. She knows the business of being beautiful inside and out. As a style mentor, Sharon turned her love of shopping and style into an expansive over 20 years of experience in the glamour industry as a New York-based photography fashion stylist, syndicated/ newswire columnist, contributing editor, lecturer, on-air television/radio fashion expert, and founder/ editor in chief of FocusOnStyle.com, Sharon Haver knows what the modern-thinking woman wants– easygoing style that suits her individual needs, spiced with just the right amount of flip and wit. Anyone, anywhere can effortlessly relate to the down-to-earth way Sharon parlays the latest fashions and beauty tricks into realistic, wearable looks. Her adeptness to scope out trends and convey style–from inexpensive to simply luxurious–makes Sharon an informative and accessible source of fashion guidance and shopping know-how. 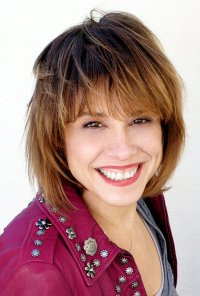 About Sharon Haver- Why Sharon? As a style expert, Sharon has been seen starring as herself in her own Macy’s national television commercials as the fashion guru and fashion spokesperson in the store’s fall advertising and marketing campaign; it was the same campaign that also featured Zoe Saldana and Clinton Kelly and Stacy London of What Not to Wear. She has been heard on the airwaves as the Beauty Spokesperson- Syneron reFirme national Radio Media Tour. She has appeared as a Style and Fashion Expert in partnership with ELLE Magazine, at the AK Anne Klein Style Wisdom event at Macy’s and will be seen cooking with Emeril Lagesse on his new TV show that launches this fall. Sharon hosts the recently launched Focus on Style- Talk Radio with Brad Boles of the The Real Housewives of New York City for a weekly live and uncensored take on fashion, beauty, style, home decor, and, of course, gossip. Brad began his career as a makeup artist / beauty expert where he and Sharon first met and worked together when she was a fashion stylist and both have broadened their arena as style & lifestyle experts. The fashion / beauty / lifestyle / shopping experts also produce a talk format video series, called Impromptu Madness for FocusOnStyle. FOCUS ON STYLE is like having your own personal stylist making everything work for you. 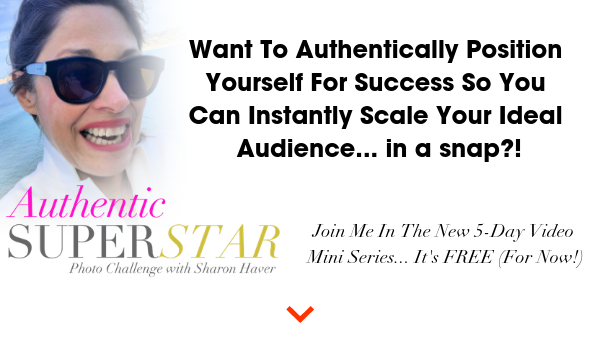 Sharon first revealed her fashion insider tips through her successful advice column, “Sharon Haver’s FOCUS ON STYLE” which began as a worldwide syndicated and newswire weekly column distributed by Scripps Howard News Service to over 400 daily newspapers and other media. The web was starting to explode and FocusOnStyle.com was born as an independently operated online fashion, beauty, and style magazine online since 1999. FOCUS ON STYLE. CAN-DO CHIC. FocusOnStyle.com continues to be your fashion, beauty, and style guide to can-do chic. Renew your look with scads of fashion tips, beauty hints, and shopping advice from founder and fashion expert Sharon Haver and her team of contributing experts who share their insider tips and tricks to help you sweeten your look. 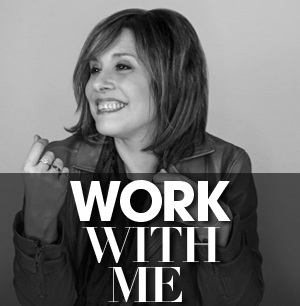 As a former fashion stylist and syndicated fashion advice columnist with over 20 years of professional experience, Sharon understands what it takes to make fashion work for you. Get your edge on everyday style and make the most of what you’ve got! Visit www.FocusOnStyle.com, so chic, so you! TV, Video and Radio Sharon has been seen in starring as herself in her own Macy’s national television commercials as the fashion guru and fashion spokesperson in the store’s fall advertising and marketing campaign. She has been heard on the airwaves as the Beauty Spokesperson- Syneron reFirme national Radio Media Tour. Television, radio show, and video appearances include: Martha Stewart Living Radio, Emeril’s Table, Morning Living, Daybreak USA, USA Radio Network, Living Today with Kerry Nolan / Martha Stewart Living Radio, BBC World Service, CBC Radio, About.com Video, The Buzz Factor, Growing Bolder, UPN9 News features, the upcoming ExpoTV, The Best of Beauty, Swedish Radio, a semi-regular on The Working Mom On The Run, American Journal, and The Montel Williams Show, and (how can you not mention?! ), The Joe Franklin Show turned to her as an on-air fashion expert, as well as local programs. Rush Limbaugh as even quoted her! Sharon has been seen in starring as herself in her own Macy’s national television commercials as the fashion guru and fashion spokesperson in the store’s fall advertising and marketing campaign. She has most recently been heard on the airwaves as the Beauty Spokesperson- Syneron reFirme national Radio Media Tour. Sharon is seen as the Cashmere Shopping Fashion Expert in the how-to series on HowDini.com and as the FirstWivesWorld.com Fashion Expert sharing tips on “Perfecting Your Post-Divorce Dating Wardrobe” and the video, “What To Wear On The First Date — The Second Time Around” with host Debbie Nigro. The Sharon Haver for About.com 7-part fashion how-to video series was filmed in Barney’s new York and Lord & Taylor. Sharon hosts Focus on Style-Talk Radio on BlogTalkRadio. In the past, as the headliner for its weekly fashion package, Scripps Howard News Service newswire distributed FOCUS ON STYLE to nearly 400 daily newspapers and websites. A selection of newspapers that featured the newswire column: ROCKY MOUNTAIN NEWS (Denver, CO), COLUMBUS DISPATCH (Columbus, OH), THE BIRMINGHAM POST, (Birmingham, AL), THE PRESS-ENTERPRISE, (Riverside, CA), STANDARD TIMES (New Bedford, MA), NAPLES DAILY NEWS (Naples, FL), STUART NEWS/PORT ST. LUCIE (Stuart, FL), SOUTH KING COUNTY JOURNAL (Kent, WA), READING EAGLE TIMES (Reading, PA), DECAUTER DAILY, (Decauter, GA), REPUBLICAN AMERICAN (Waterbury, CT), MOBILE PRESS REGISTER (Mobile, AL), THE TENNESSEAN (Nashville, TN), THE DAILY REPUBLIC (Fairfield, CA), MORNING NEWS (Florence, SC), ROCKHILL HERALD (Charlotte, SC), DAILY JEFFERSONIAN (Cambridge, OH), DAYTON DAILY NEWS (Dayton, OH), INDEPENDENT (Massillion, OH), ALLIANCE REVIEW (Canton, OH), CRESCENT-NEWS (Defiance, OH), THE DETROIT NEWS (Detroit, MI), THE SUNDAY PATRIOT NEWS (Harrisburg, PA), QUAD CITY TIMES (Davenport, IA), GLOBE-GAZETTE (Mason City, IA), SIOUX CITY JOURNAL (Sioux City, IA), ABILINE REPORTER-NEWS (Abiline, TX), UNION LEADER (Manchester, NH), PITTSBURGH POST GAZETTE (Pittsburgh, PA), HERALD-STANDARD (Uniontown, PA), BUCKS COUNTY COURIER TIMES (Levittown, PA), DAILY LOCAL NEWS (West Chester, PA), COURIER EXPRESS (DuBois, PA), STAR HERALD (Scottsbluff, NE), STAR PRESS (Muncie, IN), TRIBUNE (South Bend, IN), NEWS TOPIC (Lenoir, NC), MORNING NEWS (Florence, SC), SUNDAY ENTERPRISE (Brockton, MA), SUN (Lowell, MA), WATERVILLE SENTINEL (Central Maine), SUN HERALD (Biloxi-Gulfport, MS), NEWS PRESS (Stillwater, OK), DAILY CAMERA (Boulder, CO), DAILY NEWS (Jacksonville, NC), DAILY BREEZE (Torrence, CA), SACRAMENTO BEE (Sacramanto, CA), SUNDAY MERCURY (Guelph, ON, Canada), WAN Online (World African Network), PEEKABOO online. As a photography fashion stylist for a cornucopia of clients for over 15 years, Sharon enhanced the look of magazine covers/pages, catalogs, advertisements, commercials, industrials, and visual imaging. Her score of styling accounts included Ladies Home Journal, Vogue Mexico, Us Magazine, Live! With Regis And Kathie Lee, A Current Affair, Avon, Macy’s, Sigred Olsen, Candies, Le Tigre, Perry Ellis, Pepsi Cola, VF Corporation (Basset Walker, Hathaway, Lollipops, Lee Jeans, Skeets, and Cottonworks), Gantos Department Stores, Bamberger’s, GTE, BMG Music, IBM, Manufacturer’s Hanover Trust, RJ Reynolds, Lady Manhattan, Oleg Cassini Suits and Night, Evan-Picone, Merona, In Fashion Magazine, Gunnar, Zoom, American Photographer, Soap Opera Weekly, and others . Sharon had the pleasure of starting her career as a fashion expert by dressing some pretty famous bodies as a fashion stylist on photo shoots, including Rebecca Romijn, Kelly Ripa, Famke Jansen, Elle MacPherson, Wilt Chamberlin, Tracee Ellis Ross, Debbie Gibson, Willow Bay, Kyra Sedgwick, Sally Kirkland, Judy Tenuta, Kathleen Kinmont, Tim Robbins, Jonathan Silverman, Miss USA contestants, soap stars, models, and more. She has recently appeared as a Style Expert in partnership with ELLE Magazine, at the AK Anne Klein Style Wisdom event at Macy’s. Both her by-line coupled with her styling graced pages of ‘Teen, Twist, Star, First For Women, contributing editor for What People Are Wearing, and more. She has lectured at New York’s Field Studies Center. She is recognized in the Marquis Who’s Who of American Women. Sharon is dedicated to empowering every woman with the know-how to look as fantastic as she can within the framework of her own figure, budget, and lifestyle. 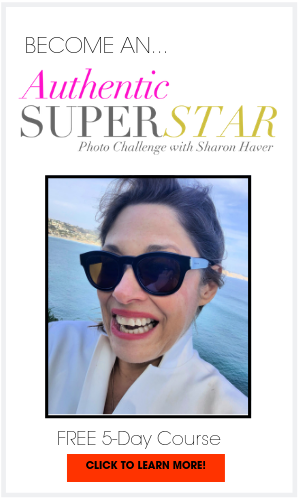 If you want a spirited “best friend” in the fashion business who solves all your style dilemmas, look no further than Sharon Haver. Peek at some recent press clips.